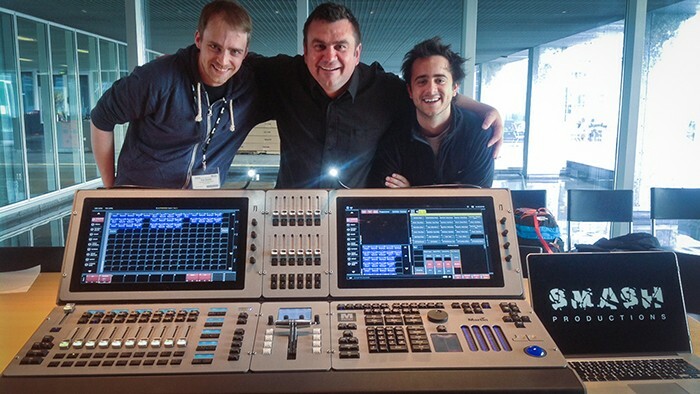 Creative visual design company SMASH Productions has ordered and taken delivery of the first Harman Martin M6 lighting control console in Europe, making it readily available for rental and deployments for assorted shows and productions around the UK. The M6 is a state-of-the-art lighting console, which functions as an advanced ‘visual control’ surface, able to control any lighting rig from conventional moving lights to digital fixtures and LED pixels. The console can be hooked up to media servers in SMASH’s studio and used for pre-visualising, designing, planning and programming shows in advance. 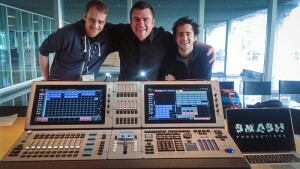 The console also provides an element of continuity for shows on worldwide tours. With a Martin M2GO console and Ether2DMX8 node already in its rig, SMASH is well aware of the reliability and intuitive operational philosophies of the Martin M-Series of products. The first SMASH Productions show for the new M6 was David Guetta’s special guest appearances on Rihanna’s UK and European stadium shows. SMASH recently provided production and visual design (lighting and video) plus technical coordination for the main stage of the Love Saves The Day Festival in Bristol. Additionally, Cerio is the lighting director for David Guetta’s on-going live performances.